Evenings can be a bit hectic with two little ones and some nights, by the time we get to dinner time, Alex and I are exhausted. To make things easier, I’m trying to build a broader repertoire of freezer cooking recipes – meals which I can either prepare or cook in advance, which can be frozen and then put on the table quickly with minimal effort. While poking about online, I came across the idea of pre-marinating meat and freezing it. I’d never considered such a thing but it seems people have been doing it for ages. An old family recipe formed the basis for my first experiment. My mother has been making this chicken marinade for almost as long as I can remember. I was worried the coriander (cilantro) component might not freeze well but needn’t have worried. It worked perfectly. We made up the marinade, cut the chicken into portions, divided it all up into snap lock bags and threw them into the freezer. I did up one batch of chicken (makes two meals for two) because I wasn’t sure if it would work or not, but next time I’ll double or triple the quantity. We cooked the first package of chicken last night – a week or two after it was first frozen. One lot of effort, one lot of mess, multiple meals. It’s a winner in my books. Divide chicken between snap lock bags, spoon marinade into bags. Close bags, squeezing out as much air as you can before sealing. 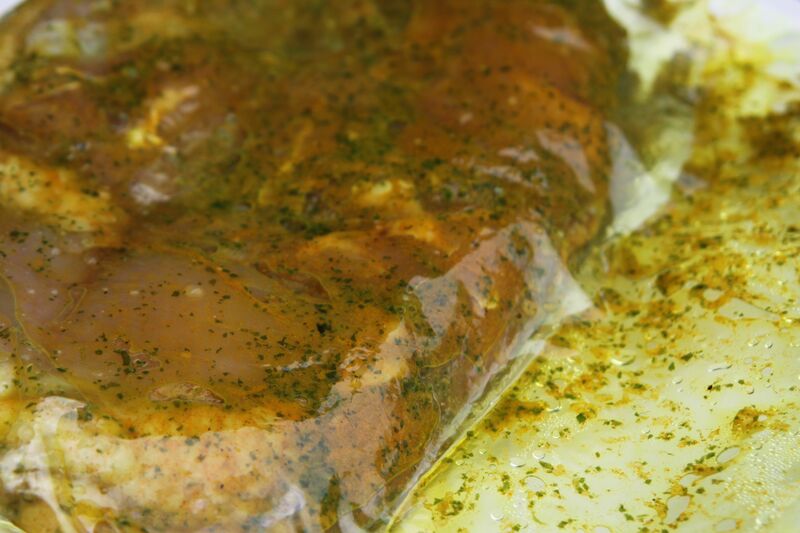 Massage the outside of the bags to distribute marinade and ensure chicken is covered. Freeze. On the day you need the meal: Thaw chicken, and barbeque or grill as desired. Serve with rice and salad. 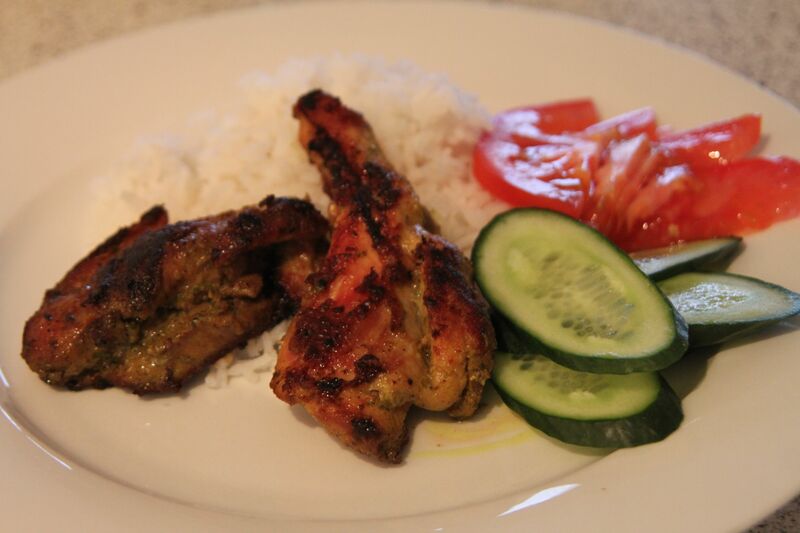 *Be careful with the marinade – the turmeric can stain kitchen bench tops and clothes. This entry was posted in dairy-free, freezer cooking, gluten-free, recipe, savoury. Bookmark the permalink.